Oh B-town, the word on the lips of all the A&R kids has become as dated as a snap-back. All the home-town heroes, Swim Deep and Peace, have migrated to London and picked up model girlfriends, and the kids who’ve been saddled with the heavy task of carrying the flame – Jaws- are slowly sliding out of the spotlight. Its nice to see then that there’s still some new life in the brackish murk of the back-water. 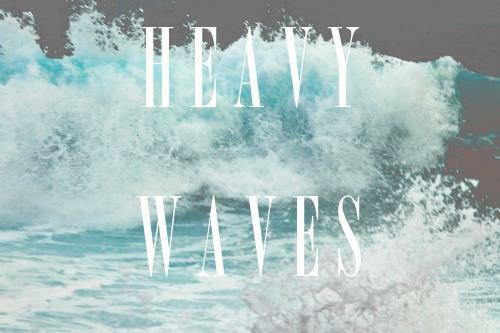 ‘Heavy Waves’ are part of the b-town scene but, with their crushingly up-front wall of fuzz aesthetic, they haven’t drunk deep from the poisoned chalice that is ‘Midlands surf-rock’. Edward is their first single. Check it out above.